Today we continue to celebrate the Nativity of our Savior Jesus Christ. While the world may think that the Christmas season is over, for us it continues. And because Christmas is such a personal kind of holy day, one which can stir up such emotion in us, I would like to meditate on it today in personal terms. For this Sunday after Christmas, the epistle reading that is appointed is one which might seem odd. It is from the first chapter of Galatians, and it was probably chosen because at the very end, Paul mentions that he met James the Lord’s brother, who (among others) is celebrated on this Sunday. But of course there’s a lot more to the text than just that brief mention of James at the end. In this passage, Paul speaks very personally. He’s trying here to establish his credentials as an apostle, something that apparently got questioned every so often during his ministry. After all, he was not one of the Twelve who journeyed with Jesus for three years, nor was he even one of the Seventy who had been sent out by Jesus while He still walked the earth. Paul was “as one born out of due time,” as he puts it in I Corinthians (15:8). Paul was called by Christ later, after the Ascension, so some people doubted whether he was really called. But Paul insists very forcefully here that he has his marching orders directly from God Himself. He says this: “I make known to you that the gospel which was preached by me is not according to man; for neither did I receive it from man, nor was I taught it, but it came to me by revelation of Jesus Christ.” That is, Paul’s message is not something he made up. Nor is it even something that he received from other Christians. He’s on a real mission from God, sent directly by God. He then goes on to remind them of how advanced he had been in Judaism and how he had actually tried to destroy the Church, writing this: “For you have heard of my manner of life in time past in Judaism, how I persecuted the church of God beyond measure and destroyed it; and I advanced in Judaism beyond many of my own age within my nation, being more exceedingly zealous for the traditions of my fathers.” So surely such a man must have had a real conversion experience, something extraordinary, to go almost instantly from being the Church’s number one enemy to being her most fervent apostle. He then completes this passage by saying that, when God called him, he did not immediately “confer with flesh and blood.” That is, after his baptism by Ananias in Damascus, he did not go to the apostles or any other Christians, but instead spent three years in what he calls “Arabia” (which was roughly the southern part of modern-day Jordan) and then came back to Damascus. And only then did he go and meet with the apostles, and then just Peter and James. I mention all this to highlight what happened after Paul’s conversion and before the better-known part of his active ministry. It was all very personal. He had a strong sense of his personal calling from God to preach Jesus among the nations. Some commentators have suggested that Paul went to Arabia for three years in order to take time for personal reflection alone, and that would of course be a normal thing to see in the life of a saint. We often see that kind of withdrawal from the world for intense asceticism and solitary training before a more active ministry begins. But that is not what St. John Chrysostom sees in the Arabian sojourn of St. Paul. He says in his homily on this passage from Galatians that Paul wanted to go where no one had ever preached Christ. Chrysostom writes this: “Thus this blessed man, fervent in spirit, straightway undertook to teach wild barbarians, choosing a life full of battle and labor.” And he notes that Paul doesn’t actually describe any of his successes in preaching Christ among the Arabians, but that they became well-known, which is why so many wanted to kill him shortly after he came back into the more civilized Roman world. It is then that he goes back to Damascus and we can follow his adventures from there pretty readily in the Acts of the Apostles and from clues in his epistles. My point in mentioning all this is to open up the world of Paul a little to us. He is our patron saint, so we should get to know him well. Here is the kind of man that is converted by a blinding vision on the road to Damascus, goes there to be baptized by Ananias, and then immediately sets off into a very dangerous and wild area to preach to people who were mostly beyond the civilizing reach of the Roman Empire. He must have really believed in what he saw and heard in that vision. So what does any of this have to do with Christmas? Or with us personally? Probably more than any other day in the Church calendar, Christmas is very personal, very emotional. It may be that this is just our culture, that we live in a world that fills Christmas up with family and togetherness and memory. Or it may be because it is such a tender moment in the Biblical story—seeing the Virgin Mother with her divine Child. And of course it is a moment of great elation, as well—the One Who will save us from the darkness has finally come, announced by a star and by angels and shepherds and wise men from the East! Whatever the source of our emotion, it is there. Christmas is a very personal time. The question that I have for myself is whether the personal, intimate experience of Christmas, of the advent of Christ into not just the world in general, but into my world in particular, has been the occasion for me of the same kind of inspiration as it was for the Apostle Paul. Orthodox Christians sometimes criticize certain theologies emphasized in the Christian West which make having a “personal relationship with Jesus” the definition of what it means to be Christian. It can be too emotional. It can lead to all sorts of excesses and abuses, where people think that God is telling them what to do at almost every moment and in every way, and worse yet, that He is also telling them what other people ought to be doing at every moment. We tend to be suspicious if someone tells us that God said such-and-such to them personally. Look at all the unfortunate places that attitude has led people. Heresy. Schism. Broken families. Broken churches. Fraud. The list goes on. 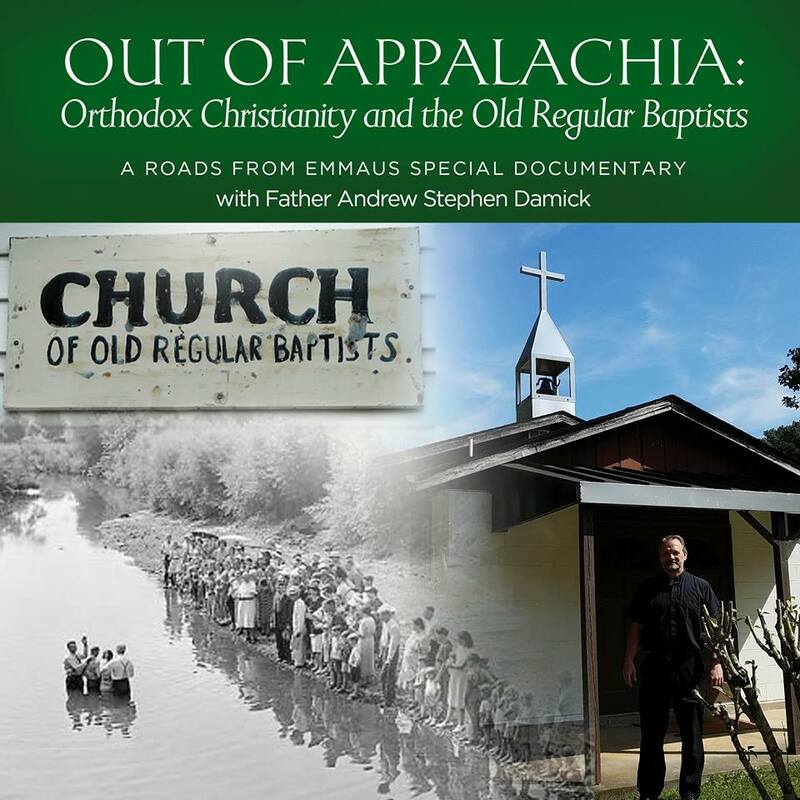 We may answer such abuses by emphasizing the ecclesial nature of Orthodoxy—we are a Church. We are led together by God. The indwelling of the Holy Spirit is not the private property of any one person. We don’t claim special revelation for any one of us. But there is also abuse there, too, and I think this abuse can be seen among the Orthodox. God speaks to the Church, yes, so I don’t really have to listen for myself. What is important is that the Church as an organization gets done what it has to get done. I don’t have to have “that” kind of investment for myself. I belong to the Church, and the Church is so holy, so that’s what will count for me in the end. We can so emphasize the corporate character of Christianity that we lose sight of the personal. The problem isn’t that Christianity is not supposed to be personal. The problem is that it’s not supposed to be private. Christianity is personal. And that’s why it can be corporate. We aren’t a single undifferentiated mass which all just goes in the same direction as long as we have membership. Nor are we a collection of individuals who each can do his own thing and be assured in his own mind of what he thinks is right. We are a body. And a body is made up of various organs. Each organ has a purpose in the body and serves the whole body. And each organ is also served by the whole body. It is a beautiful image that gets used again and again, especially by Paul. Paul shows us that his very personal conversion and personal sense of his calling from God are key in what it means to be Christian. That conversion and calling did not result in a private salvation for him. It resulted in a sense of mission, of giving to others what he had received from Christ. The results were churchly. But he wouldn’t have gotten those results if he hadn’t owned it for himself. When describing his calling, Paul did not say only that the Son of God was revealed, but that the Son of God was revealed in him. The Son of God is revealed to the world, but that revelation is in each Christian. Why do so many kind of hang around the fringes of the Church without ever coming in and really coming alive, without becoming serious about worship, confession, giving and witnessing the faith? I really do not know the answer to that question. But perhaps if they ask themselves that question, they may give some kind of answer as we have already considered—such fervor is not really necessary, because they are already members, because they have already done enough, etc. But which saint ever said anything like that? Okay, maybe we’re not saints. Maybe we’re not called to be apostles like Paul. But which saint ever said that approach was okay? When did Jesus ever say that approach was okay? Is there actually any basis in Scripture or the tradition of the Church anywhere for maintaining such a view, that this does not have to be personal? If there is a weakness that the Orthodox have, it is not that we do not believe in the Church. Yes, we believe in the Church. Our weakness is that so many of us do not own this faith for ourselves. When you really own something and take personal responsibility for it, it takes over your life. It defines everything you are, everything you do. Everything gets rearranged around it. There are a lot of easy questions with tough answers in this world, but this issue is actually a tough question with an easy answer. The question is tough because I think so few of us ask it of ourselves: Do I really own this faith? It is tough to come to the point where we ask that question. But if we can come to that point, and we can ask it, then the answer is very easy to see. Ask yourself now: Do I really own this faith? You know whether the answer is yes or no, don’t you? As Orthodox Christians, we do not have to fear that a strong sense of personal ownership in our faith will cause us to fly off into spiritual chaos or that we will become like certain religious groups where everyone seems to be on a private mission from God. Having personal ownership of this faith does not do that to you, because Orthodoxy won’t let you. It involves humility to make Orthodoxy personal. It involves obedience to the Holy Tradition of the Church. It involves constant corporate experience with the rest of the faithful. All the actual things that we do when we take ownership of our Orthodox faith lead us precisely to ecclesial results. They do not lead us to elevating our private opinions above others, which is where heresy and schism come from. This is the example Paul set. And it’s an example we see again and again. This Christmas season, let it get personal. Let the faith be your own. Own it. He is your Christ. The Son of God is not just revealed—He is revealed in you. To Him, therefore, with His Father and Holy Spirit, be all glory, honor, and worship, now and ever, and unto ages of ages. Amen. Christ is born! Humility…the great limiter. Thank you, Father! Fr. Andrew, my wife and I have enjoyed your perspective so much that we have thought of moving near St. Paul’s when we leave south Georgia! We actually already belong to St. Paul’s Greek Orthodox Church in Savannah. If you ever come to visit Eastern Pennsylvania, please do come to Emmaus and introduce yourself. I meant to write “Whether I desire it or not, save me oh my Christ!” Just shows how fallible I am! Might I recommend a book “Now I Walk On Death Row” by Dale S. Recinella?